Episode 7: Big Band of Brothers with the Marcato Bros.
SEAL OF POOR QUALITY: To our great distress, the recording for this episode came out the other end with a baffling reverb that we were unable to correct. Faced with either sacrificing quality or throwing the episode out altogether, we chose the former. Sorry for the audio issues and we'll get things sorted out for next week. Thanks a lot for listening! Stephen and Bryan are joined by a pair of brothers who run a video games music podcast and no cloning was involved! Will and Karl Brueggemann of the Super Marcato Bros. keep the sibling theme rolling with enough Mario Bros. love to fill Soda Lake three times over. Information and enthusiasm are interchangeable in this episode, and you just might gain a new favorite podcast along the way! By all means, you should be following the Marcato Bos. on Twitter, but don't forget about their website, too! 2. What defines Mario music and sets it apart? 3. What are some of the biggest weaknesses in Mario music? 4. What’s your personal favorite Mario soundtrack? 5. 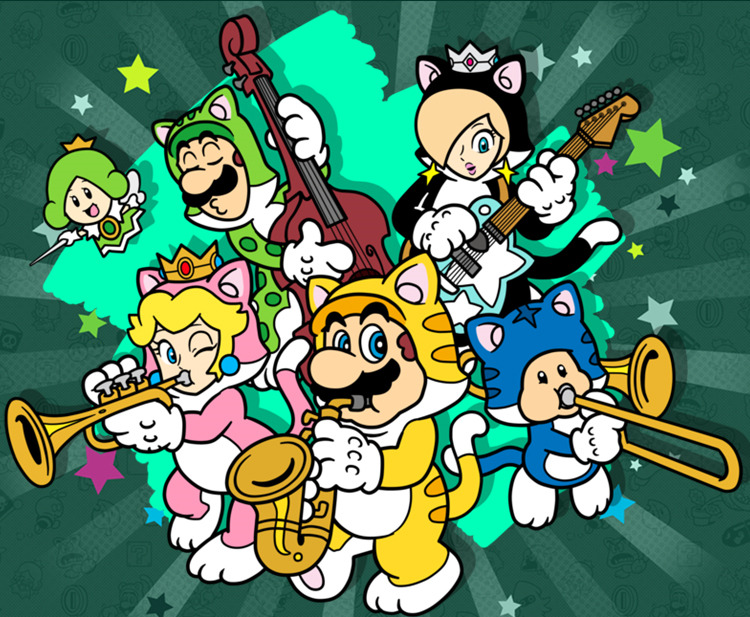 What style or genre of music do you feel best captures the essence of Mario? 6. What are some of the standout stylistic departures in Mario music?